First time buying – what kind an you afford? 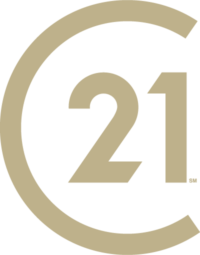 – Century 21 Lakeside Realty Ltd.
FIRST TIME BUYING – WHAT CAN YOU AFFORD? Here are some ways to help you determine how much you can afford. Set a Maximum Price Range – To determine your “afford-ability” price range, you must calculate two amounts: the amount of cash you can afford to put toward the purchase (the down payment) and the maximum amount of loan (mortgage) you can comfortably carry. Typically, household expenses should not exceed 35 percent of your gross income. Put Down as Much as You Can – The key to getting started for most first-time buyers is the initial down payment. This is the part of the purchase price you have to put down as cash (savings). You may be able to buy a home for as little as five-percent down, but remember that the larger the down payment, the easier it will be to manage the other expenses such as mortgage payments, utilities and taxes. An ideal down payment is 25-percent of the purchase price. Keep some cash in reserve though for unexpected expenses related to a home purchase and typical expenses such as land transfer tax, legal fees and moving expenses. Know How Much To Borrow – To establish the maximum mortgage limit for you, a financial institution or mortgage broker will determine the monthly payment you can afford by calculating your debt-service ratio. List all your loans (car, personal loans, monthly credit card balances). The sum of these and your mortgage payment (including principal, interest and taxes) should not exceed about 40-percent of your gross income. The mortgage payment and taxes should not exceed about 30-percent of your gross income. Understand Interest Rates – The size of the mortgage you can arrange, based on payments you can afford, depends on interest rates. The lower the rates, the larger the possible mortgage and the more affordable home-buying will be. However, there are other variables to consider. How open is the mortgage? Is it portable? Would prepayment be allowed? Discuss your mortgage options with your REALTOR®, lender or financial advisor. Decide what is best for you, establish a limit and stick to it. Look At Other Sources of Funds – If you have been contributing regularly to an RRSP (Registered Retirement Savings Plan) you may have to look no further for your down payment. The federal government’s RRSP Home Buyers’ Plan allows eligible taxpayers to withdraw from their plan to buy a qualifying home. However, you are required to pay back every year at least 1/15th of the amount taken out until it is all paid back, or there will be penalty. The Canada Mortgage and Housing Corporation’s (CMHC) five-percent-down mortgage program is available to both first-time buyers and those who have already owned a home. This benefits buyers who can afford the monthly payments but would have trouble saving for a larger down payment. Under the program, CMHC may insure the mortgage on your home for up to 95-percent of the lending value. An insurance premium will be charged. This amount can be added to the mortgage or paid on a monthly basis. Other sources of funds you can tap into for a down payment include savings & investments or gifts from your family or relatives.